Is 64 different ambient lighting options enough for you? A new Mercedes A-Class is coming. Due to go on sale in 2018, the entry-level Mercedes will take the form of a five-door hatchback, followed by a four-door sedan variant for the first time in the model’s history for America. Mercedes has yet to offer any previews of the new A-Class, but now the German automaker has released the first official photos of the compact car’s redesigned cabin, which looks more luxurious than the previous model. If the interior looks familiar, that’s because the A-Class takes its cues from the new E-Class and the facelifted S-Class. Like the E-Class, the new A-Class features a dashboard with a dual screen layout, though unlike the E-Class the screens are free-standing instead of being incorporated into the dashboard. The stylish turbine-style air vents have also been borrowed from the E-Class, and the entry-level Mercedes has inherited the S-Class’ multifunctional steering wheel to give the car a more premium feel. "The new A-Class embodies the next stage in our design philosophy of sensual purity, and has the potential to usher in a new design era," said Chief Design Officer Gorden Wagener. "The interior presents modern luxury at a level previously unattainable in this class, and transports the user interface into the digital age." 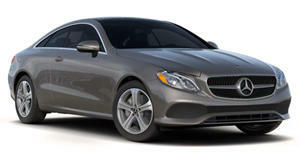 The range-topping A-Class will feature two 12.3-inch displays, whereas the base model will use a dual seven-inch setup. The mid-range model, on the other hand, will have a seven-inch instrument cluster and a 12.3-inch infotainment system. If you like your ambient lighting, the new A-Class will have no less than 64 ambient LED lighting colors to choose from, representing a huge increase from the current-gen model's 12 hues. You can’t say Mercedes doesn’t cater to customer needs. If you haven’t gathered by now, the new A-Class has been appointed with luxury features that are normally reserved for range-topping Mercedes cars like the S-Class. This is especially true for the seats which have comfort features that are normally found in higher class cars according to Mercedes, including seat climate control, a massage function and a Multicontour Package. In a first for the compact segment, the seats were developed using computer-based comfort simulation. Buyers will be able to select from three different front seats, including a comfort seat with up to 20 adjustments and a sporty seat with built-in headrests. As standard, the the rear seats have a 60/40 split, and the backrests can be folded down. A rear seat backrest with a 40/20/40 split and Load Compartment package is also available at an extra cost. According to Mercedes, the new A-Class will be more spacious than the previous model. Shoulder, elbow and headroom has increased, and the trunk space has increased by 29 liters to 370 liters. All-round visibility has improved too by slimming down the A, B and C-pillars and repositioning the exterior mirrors, reducing the obscured area by 10 percent. Expect to see the new A-Class hatchback debut at next year’s Geneva Motor Show in March, followed by the first ever A-Class sedan.